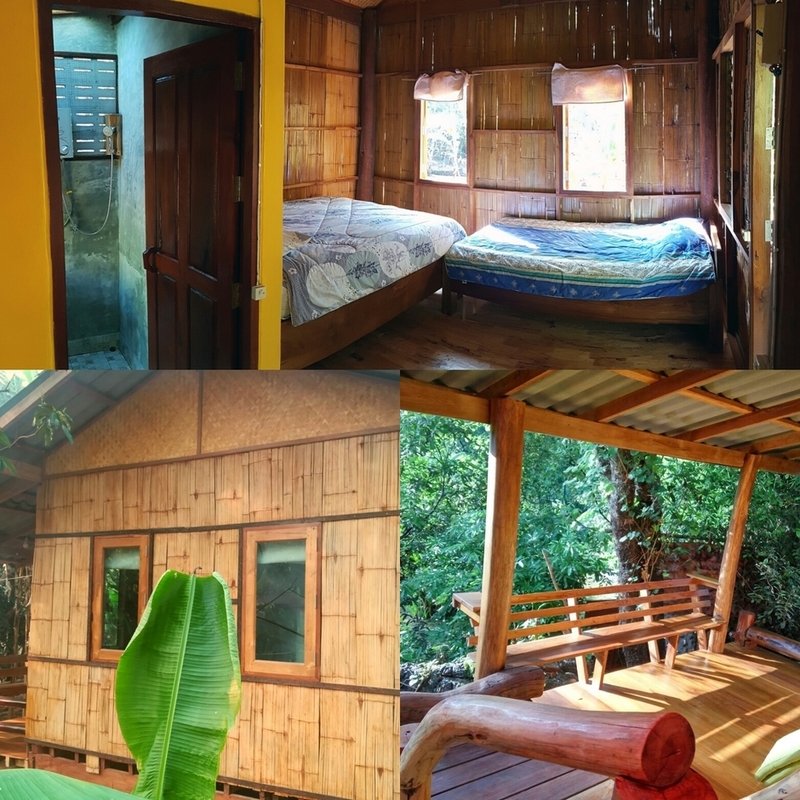 It s a bright family cottage with 2 big size double beds, a fan, hot shower and bugs net. A very charming cottage located in the middle of our garden. 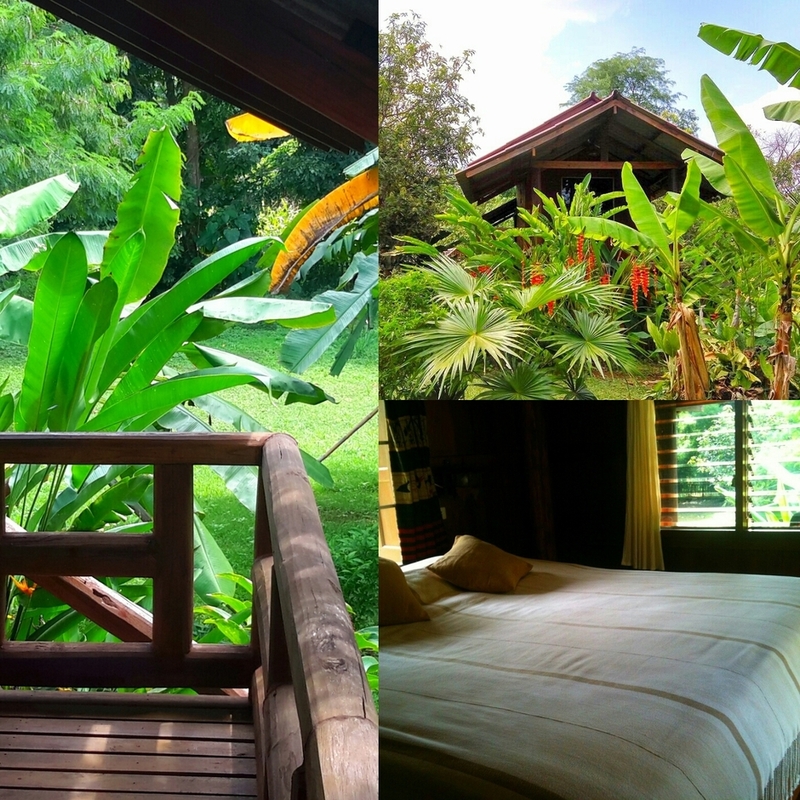 From the private balcony your surrounded by our jungle garden and it s a real delight. There s a double bed (max 2 pers), a hot shower, bug net and a fan. 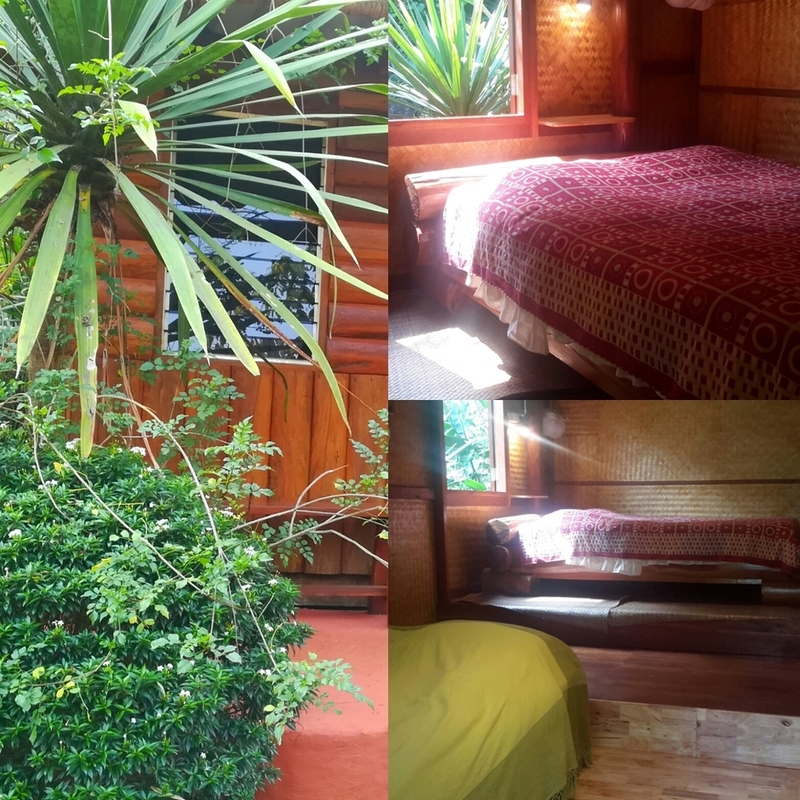 A basic furnished bamboo hut with fan, a big double bed and a single bed (max 3 pers), a private balcony with lovely view over the patch of veges and a bathroom with hot shower.